Pretty Agnes, coiffed à l'Anglomane, dressed in a Caraco en Veste with revers, &c.
"Our Ladies, after having consumed all their science in infinitely varying their gowns, redingotes, demi-redingotes, etc. 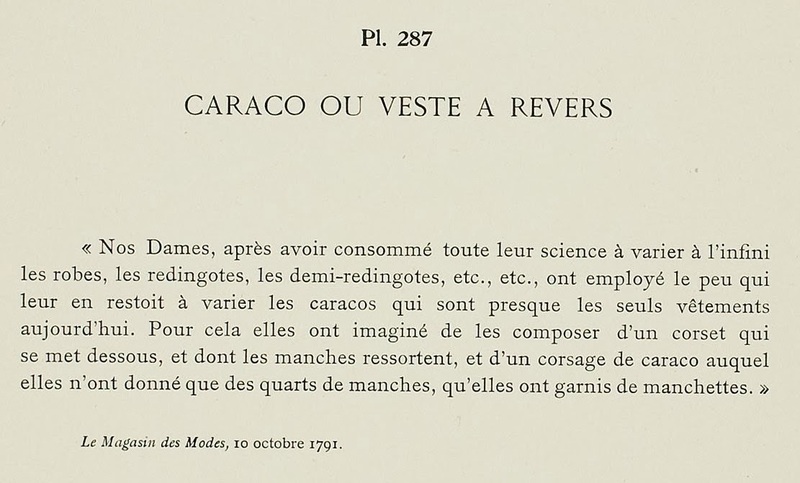 etc., have employed the little which remains to them to vary caracos which are nearly the only garments worn today. 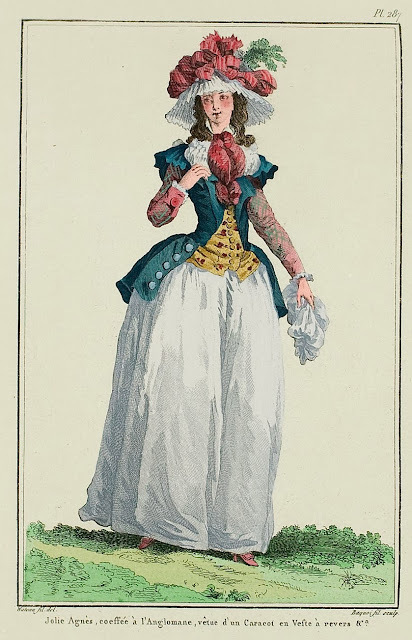 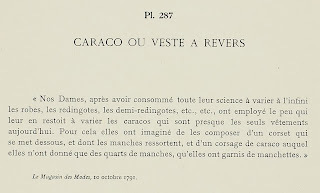 For that they have begun to compose them of a corset which is worn underneath, and from which the sleeves come out, and a caraco bodice to which they have only given quarter-sleeves, that they trim with manchettes."